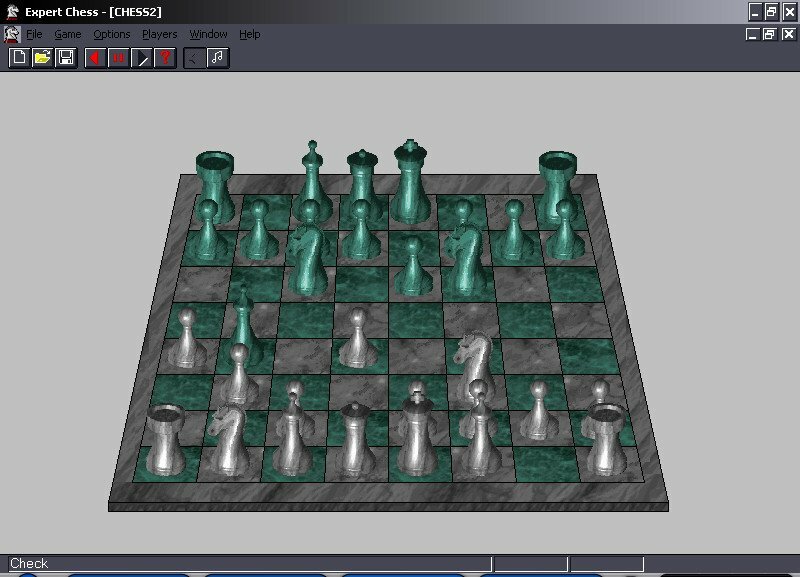 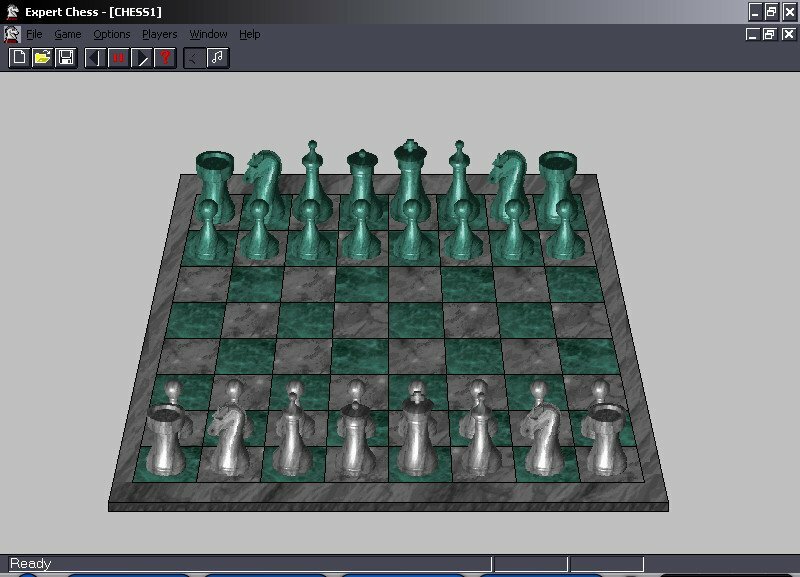 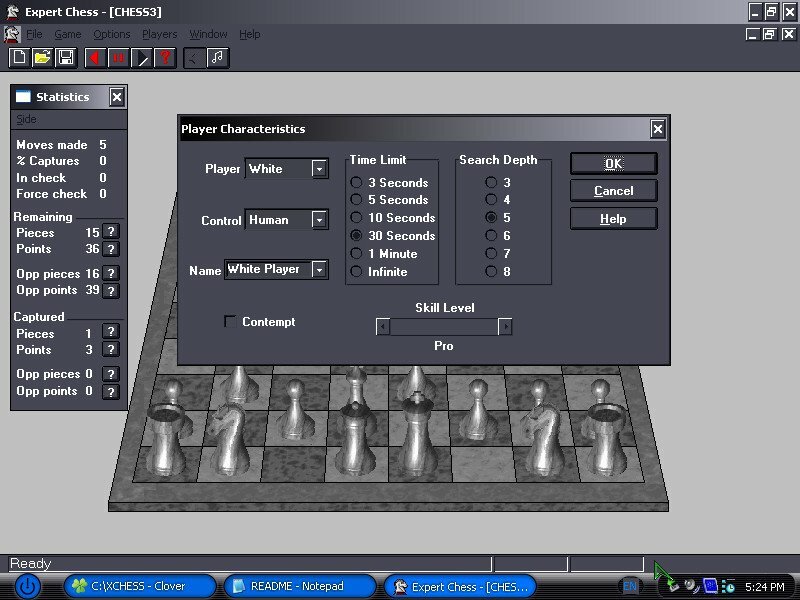 Just your typical chess program designed for Windows 3.1. 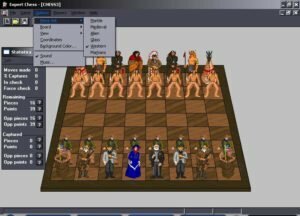 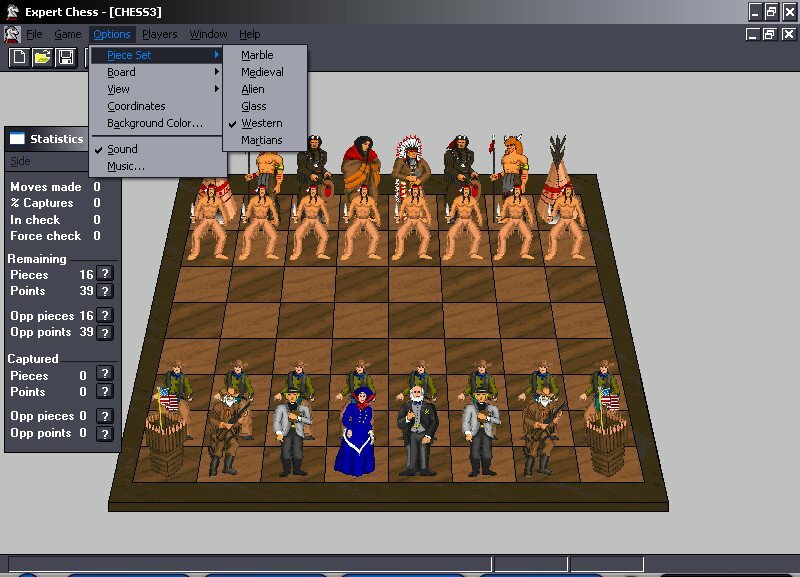 There’s a good deal of customization within Expert Chess – you can change the background color, chess board material (wood, stone, marble, etc), chess piece graphics (including really funny themes like aliens or settlers vs indians) as well as tinker with some basic gameplay mechanics. 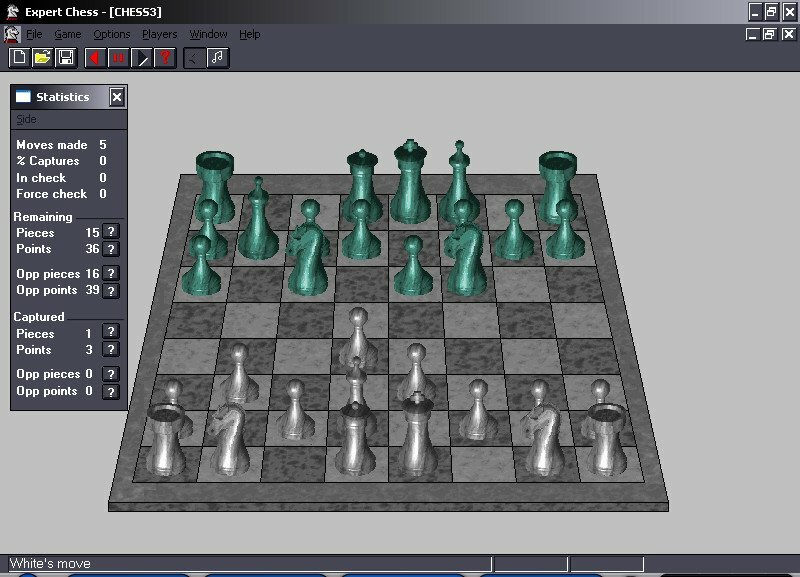 There’s a turn timer to keep things going, for example; the AI difficulty is scalable, or you can skip the AI entirely and play against a human opponent..